Unlock Samsung Galaxy S5 SM-G900A - Safe IMEI Unlocking Codes for You! Unlock Samsung Galaxy S5 SM-G900A Handset! In case your Galaxy S5 SM-G900A doesn't ask for the code and there is no designated field to enter it, please DON'T PLACE ANY ORDER, contact us first for support. Unlock your Samsung Galaxy S5 SM-G900A cell phone to use it with Any GSM SIM Card worldwide! Our unlock codes works for the latest models including Galaxy Note, Infuse 4G, Omnia, Galaxy Skyrocket, Captivate and many more! Check out here for more! Before placing an order make sure you send us the correct information of your Samsung Galaxy S5 SM-G900A cell phone! How to Unlock Samsung Galaxy S5 SM-G900A Phone - Tutorial! i need code to unlock my mobile phone from UK T-mobile. Hi Michi! The codes for this network and model are available. Thanks! Can you please help me unlock my phone that i got last month from USA Cincinnati Bell? I dont see the sm900az listed. Is this phone supported. Please provide code for Samsung S5 Albania Vodafone. I would like to ask if you can help unlock my handset that locked from Orange Austria! Are you able to unlock phones from Spain Yoigo? I owned Samsung Galaxy S5 SM-G900A from CA tmobile and I would like o use it to romania. Is that possible? can you provide the unlock codes for orange from France? If i unlock a phone that was fasley reported stolen can i use it in the us? I wonder if I can use again my sim after the process? Hi Paula! Yes, we should be able to get a code for your smartphone. Please fill in the form and you will see all the details. Thank you! If I request codes for two phones can you offer discounts? Hi Marge! Yes, we can give you a discount for unlocking 2 devices. Please contact us via email and we will let you know more information. Thank you! 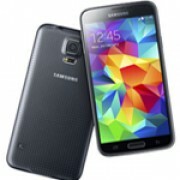 do you have codes for Samsung Galaxy S5 SM-G900A from tmobile Indonesia? Hi Fabian! Yes, we should be able to provide you a code. Please check the price and all the details by using our form. Regards!